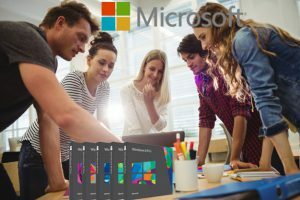 It is without any doubt that Microsoft is one of the strongest pillars of computer technologies. The age of computer has dawned with Microsoft at one of its helms. Today Microsoft not only deals with manufacturing computers, gadgets and application software only but also specializes in producing intricate advanced virtual technologies that helps smoothing out operations in various domains of the world. The entrepreneurial domain in particular, needs the incorporation of Microsoft flair very essentially to calibrate their profitable progression. IT solution and consultancy company, ReqRes houses one of the finest batches of experts who have a world of knowhow about the enterprise technologies from Microsoft, their implementation procedures and their effectiveness. For our clients we hope to deliver the best of Microsoft Expertise if and when opted for.